The new Jaguar XJ has to be one of the best-looking sedans on the market today. It's sleek, it's classy, and it makes even non-car savvy people say "Damn, that's a good-looking car" when it passes by. And with as much as 510 horsepower in supercharged form, it will get you where you need to go rather quickly. All that style, luxury and power doesn't come cheap, but you can put one on your desktop for free thanks to friend of the site Nat Twiss at Twistaphoto. 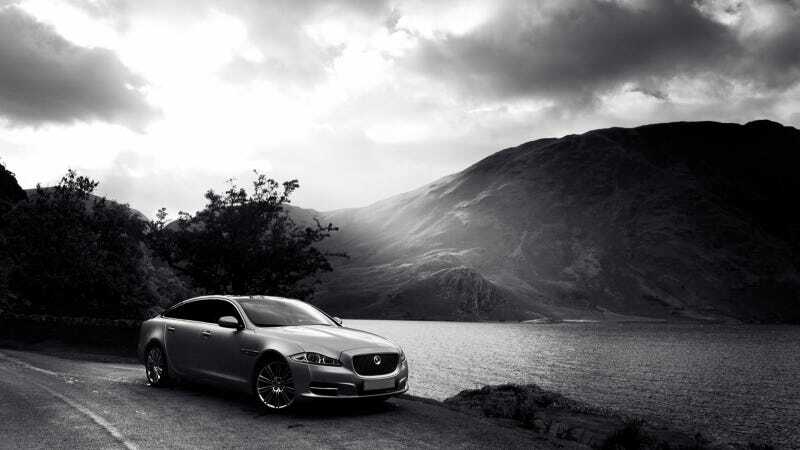 He recently shot the XJL in black and white at the English Lake District and the results are ridiculously awesome. Click over to his site for more great automotive photography. Would you rock the new XJ? Photo credit Nat Twiss. Used with permission. Click here for a giganto-desktop version.